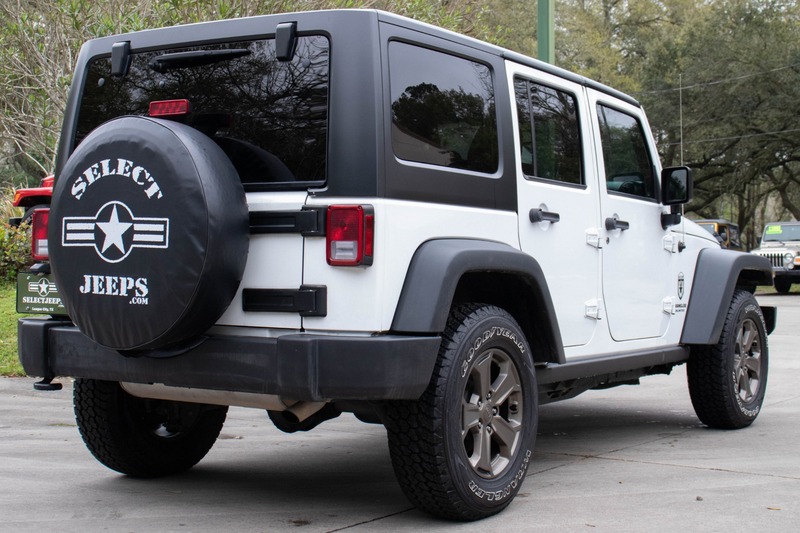 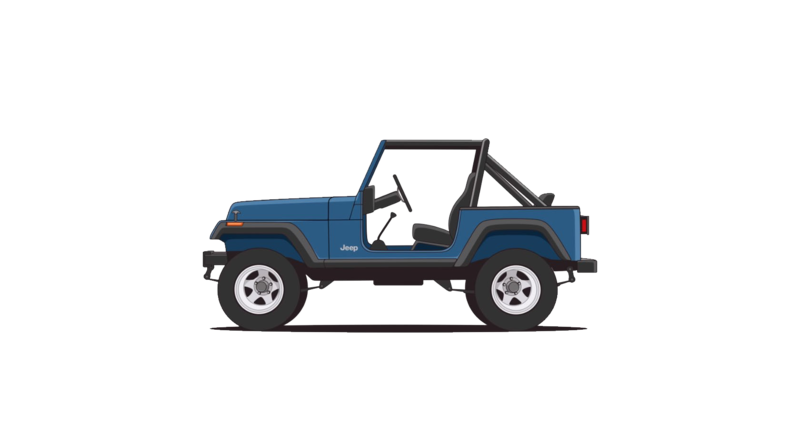 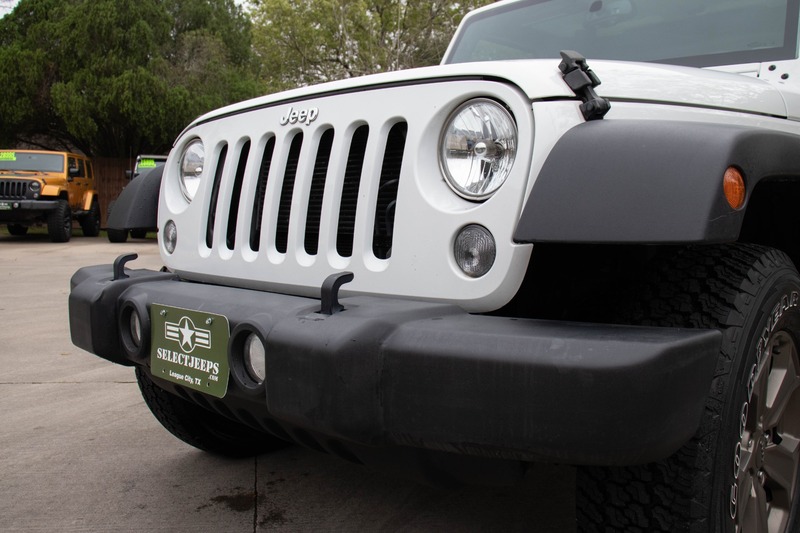 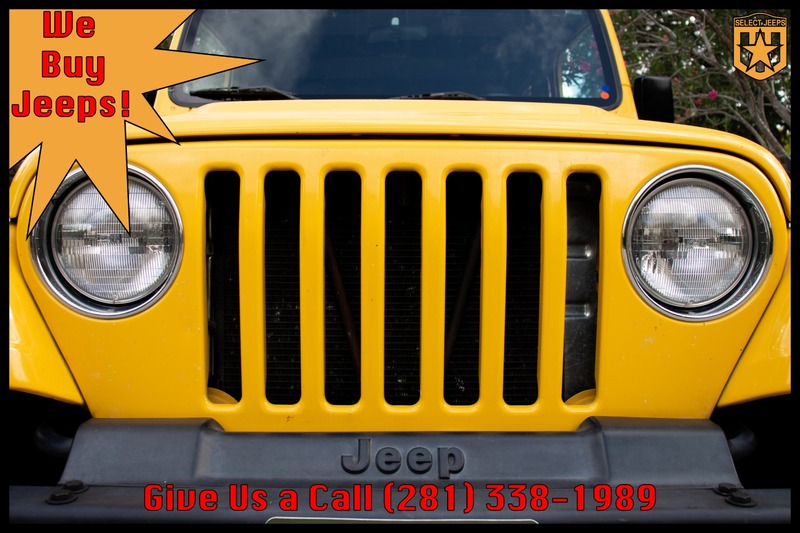 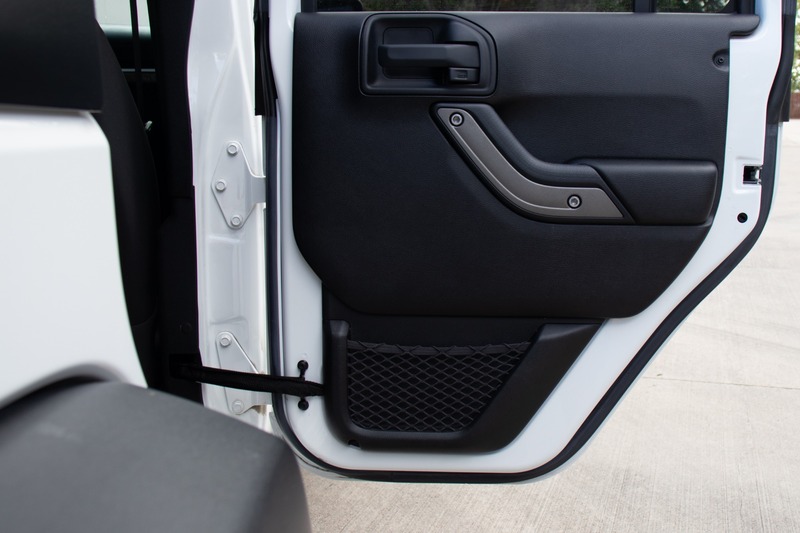 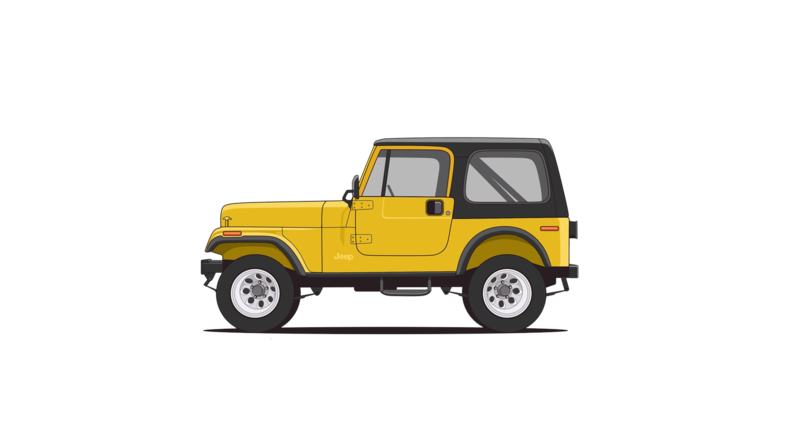 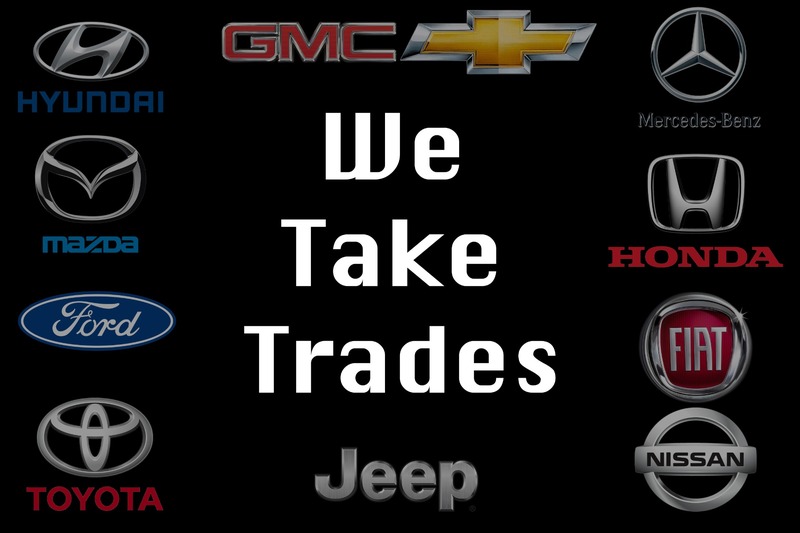 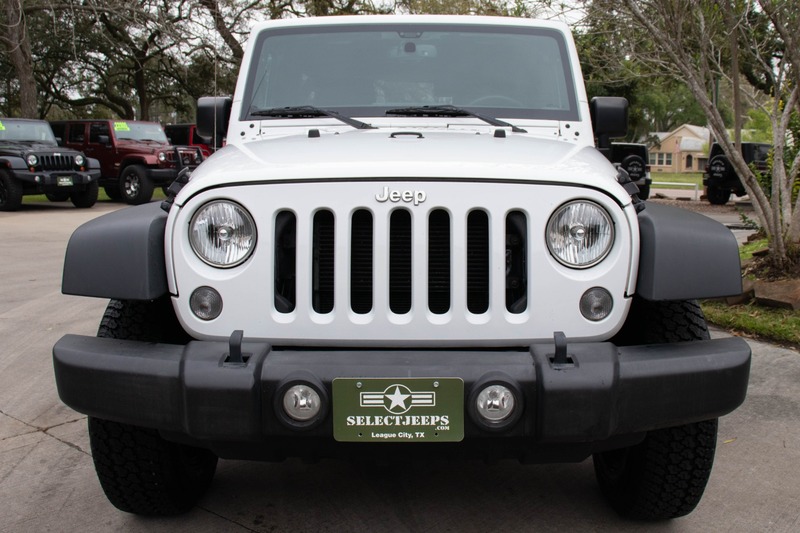 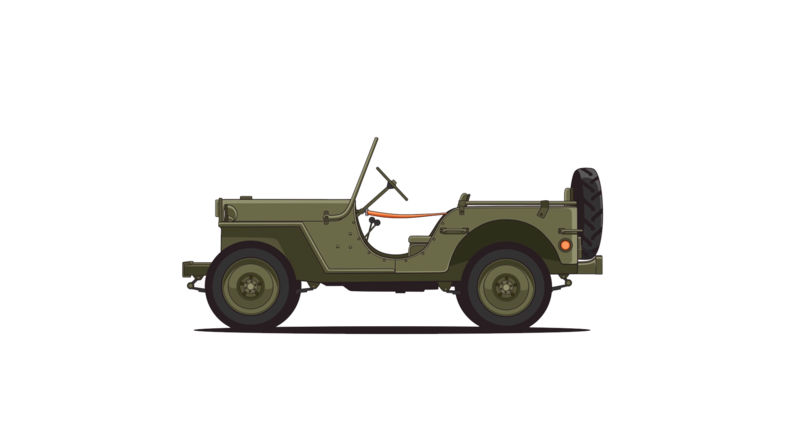 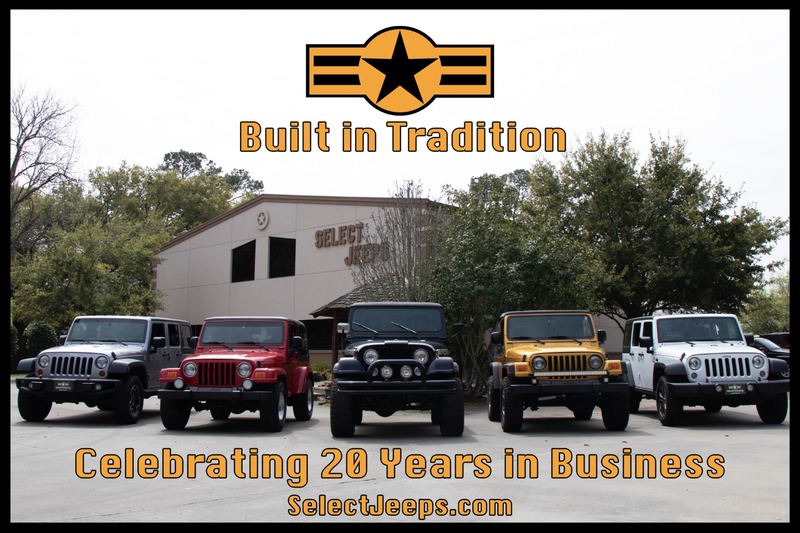 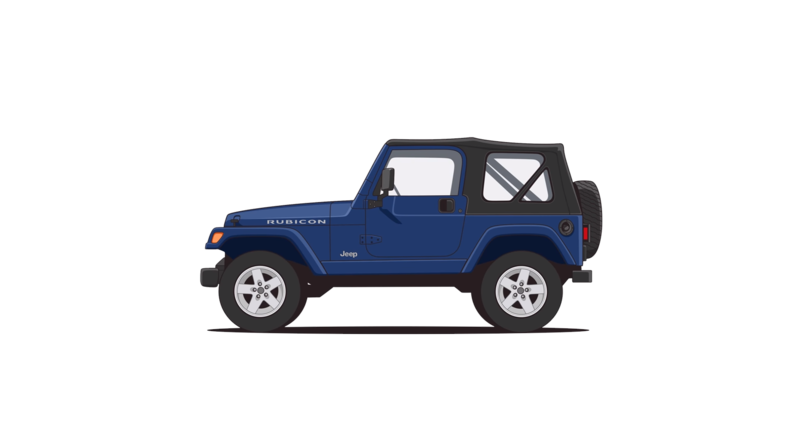 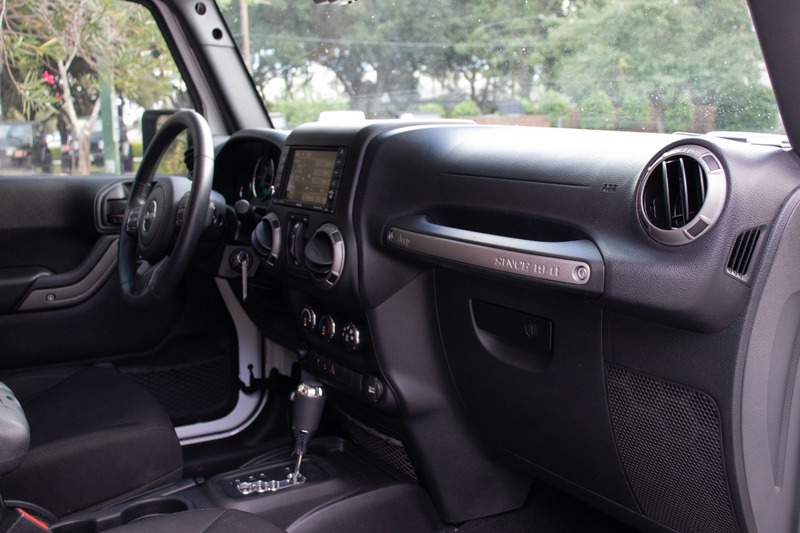 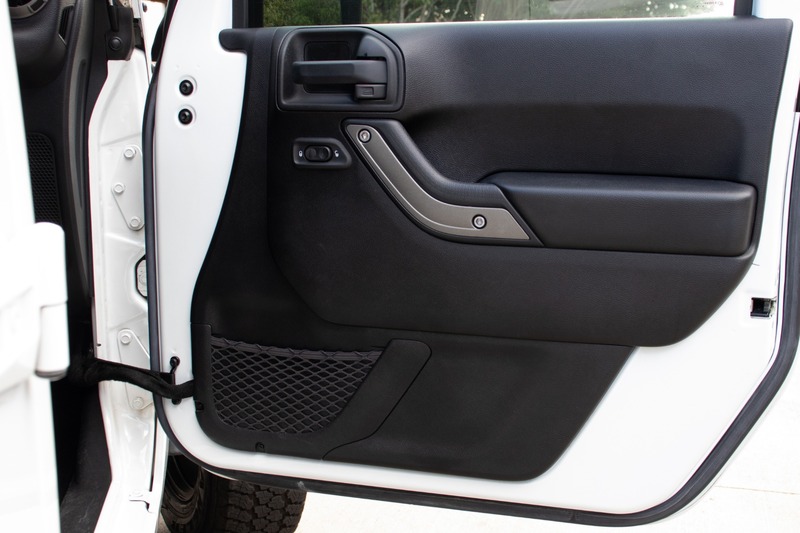 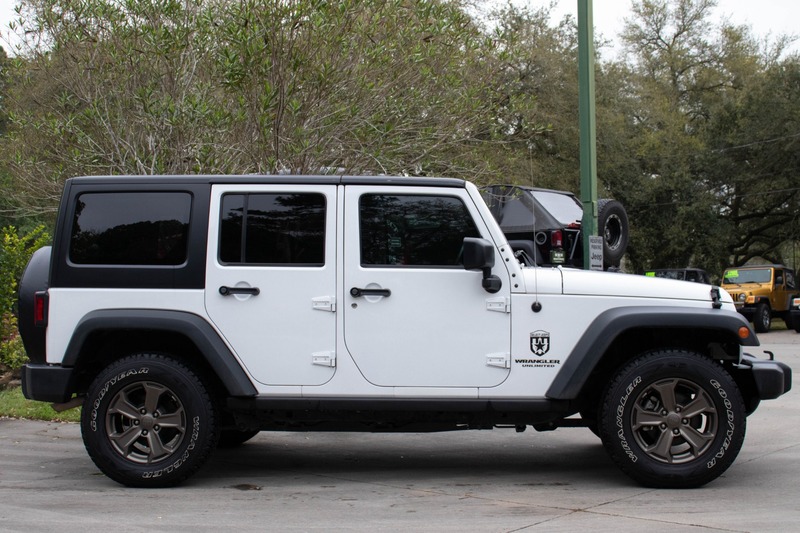 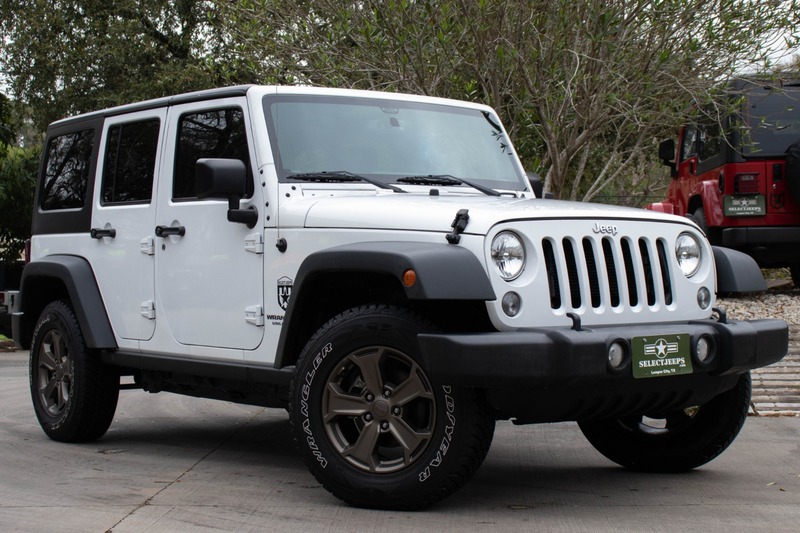 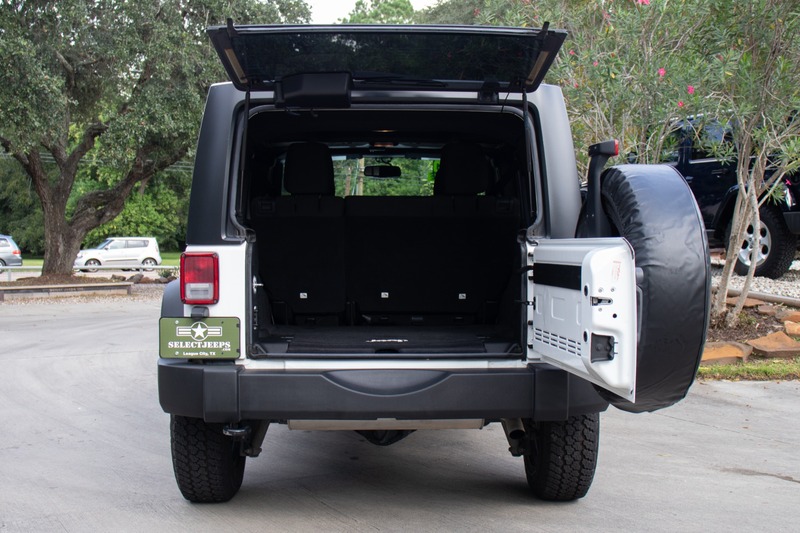 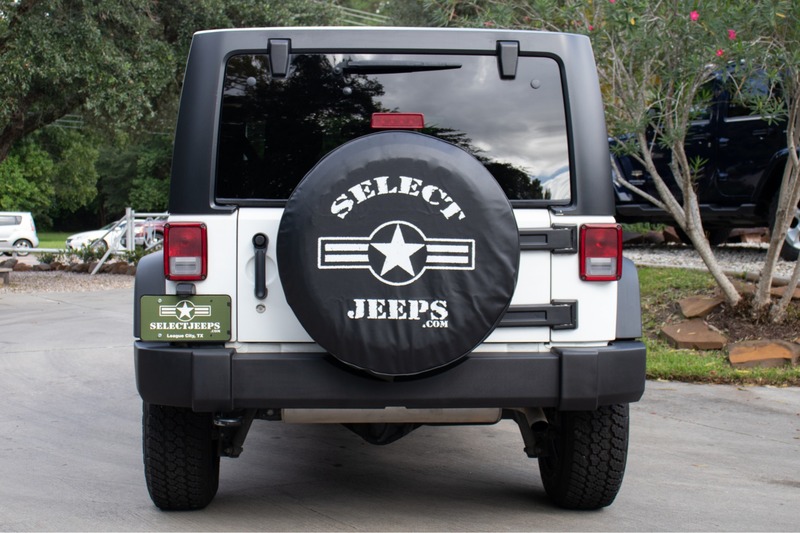 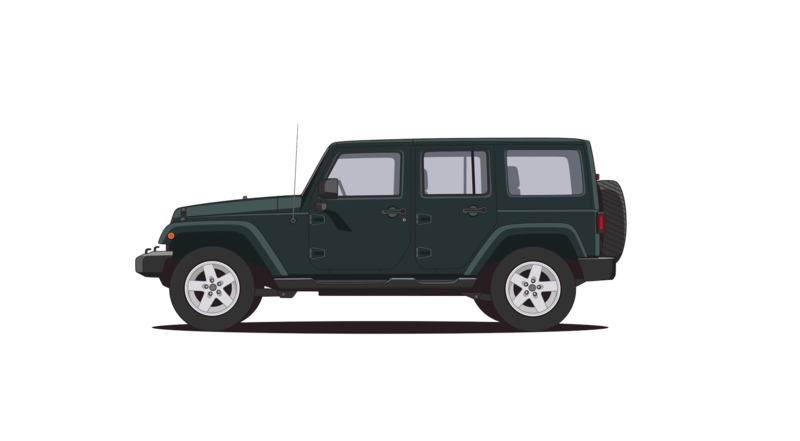 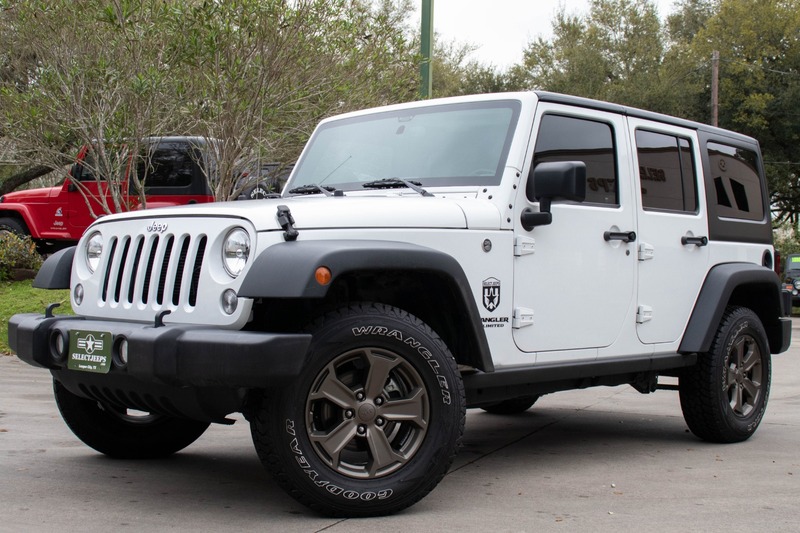 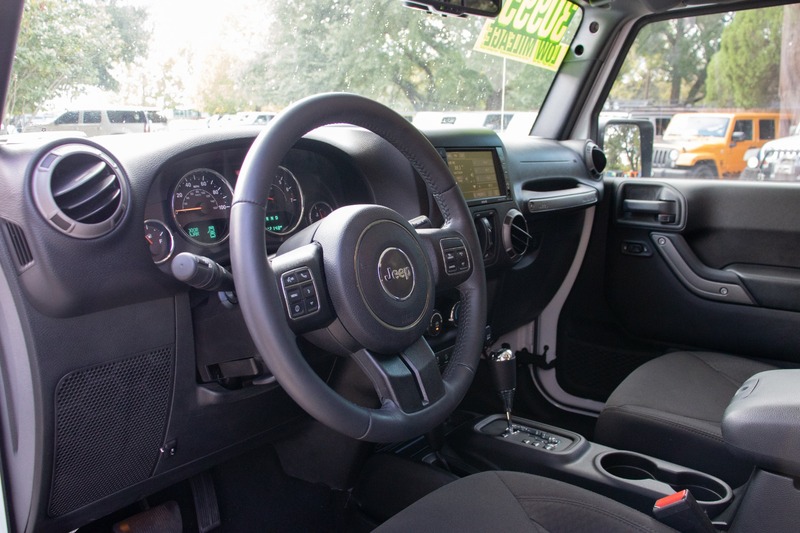 This Jeep the perfect blend of comfort, style, and rugged capability. 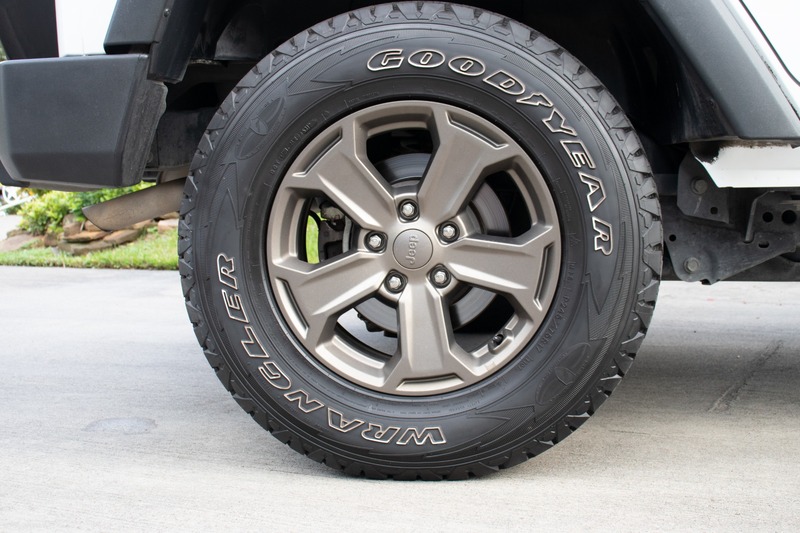 The Good Year Wrangler tires provide premium on-road comfort while maintaining light off-road capability. 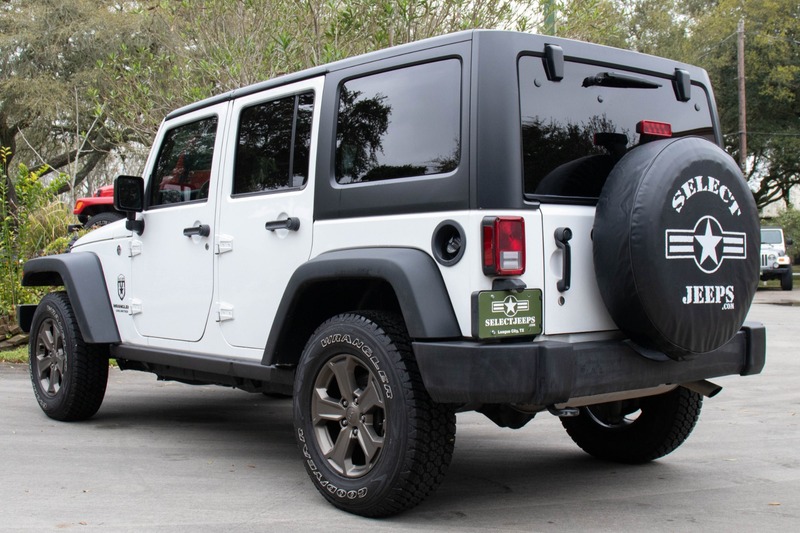 The Premium Golden Eagle wheels accent the stunning clean white exterior. 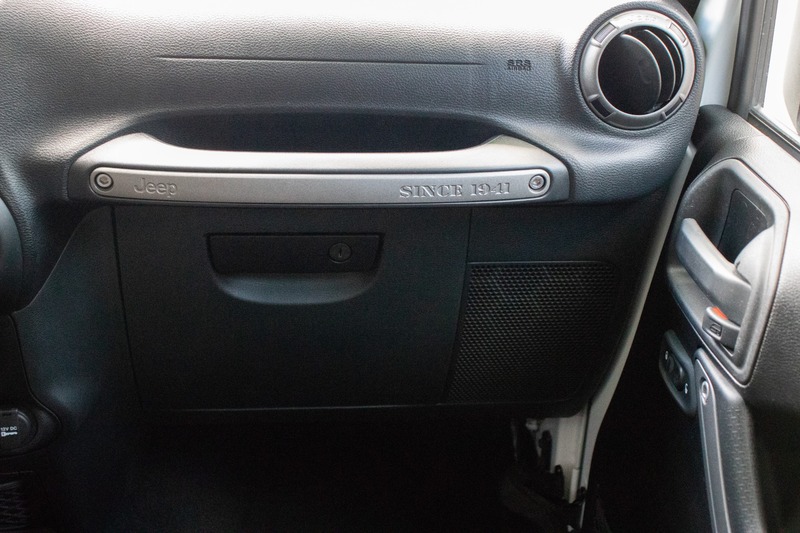 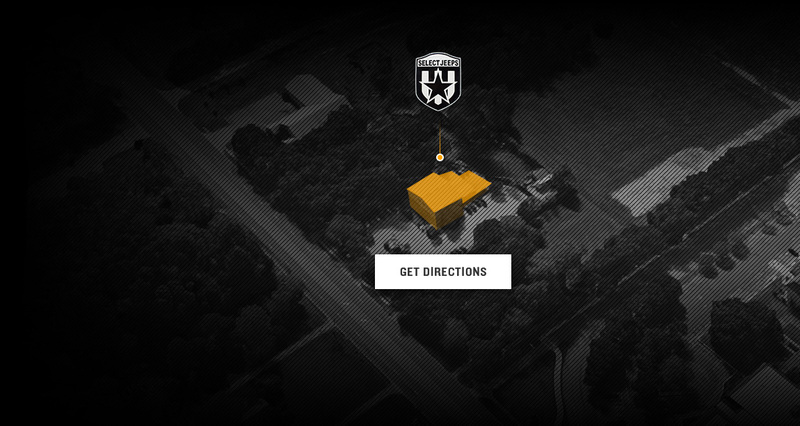 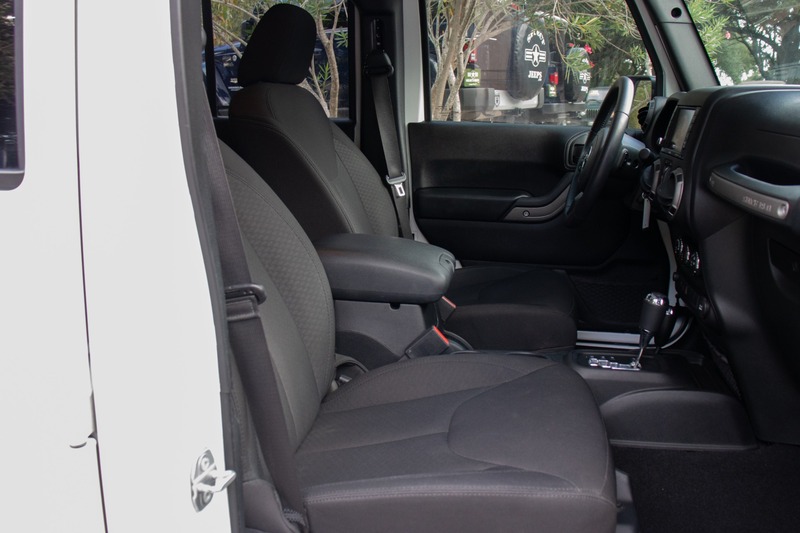 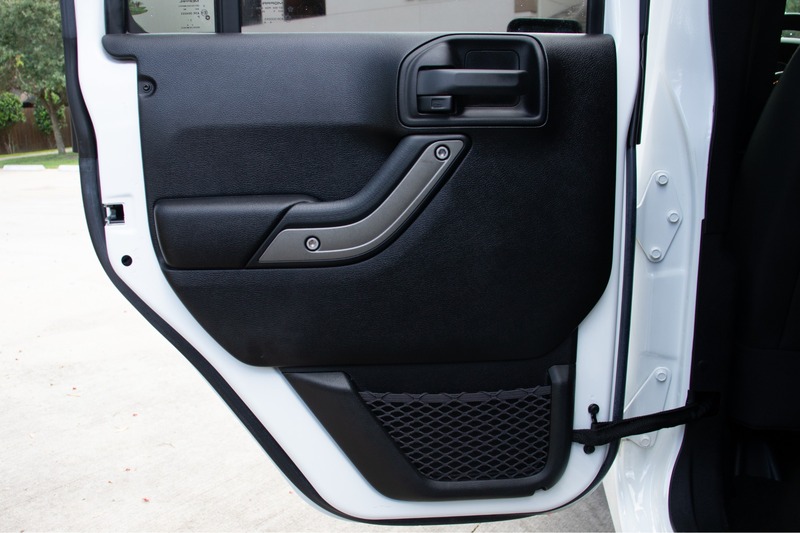 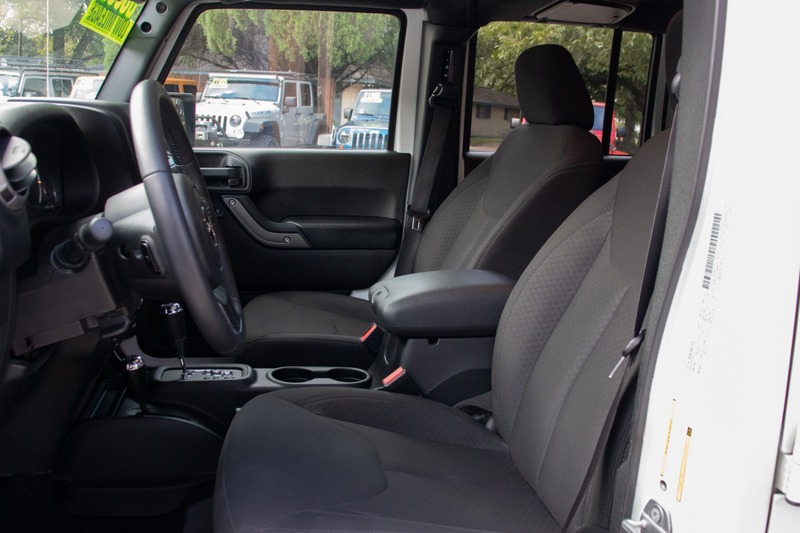 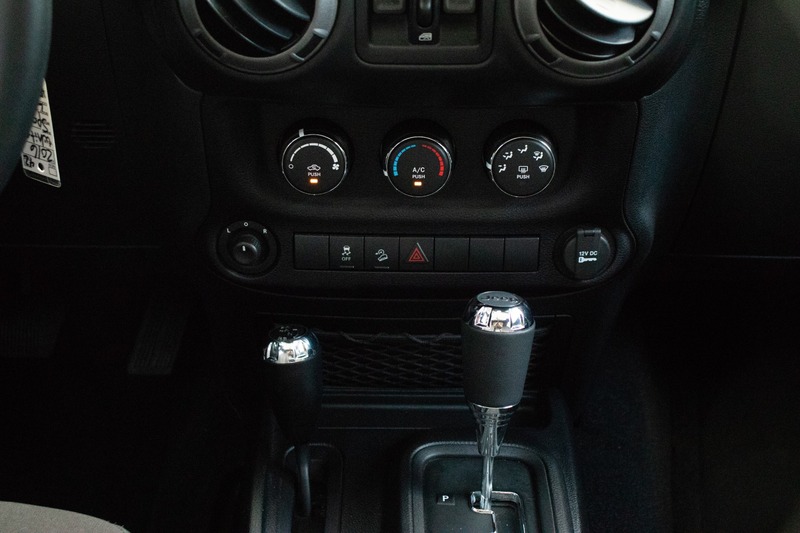 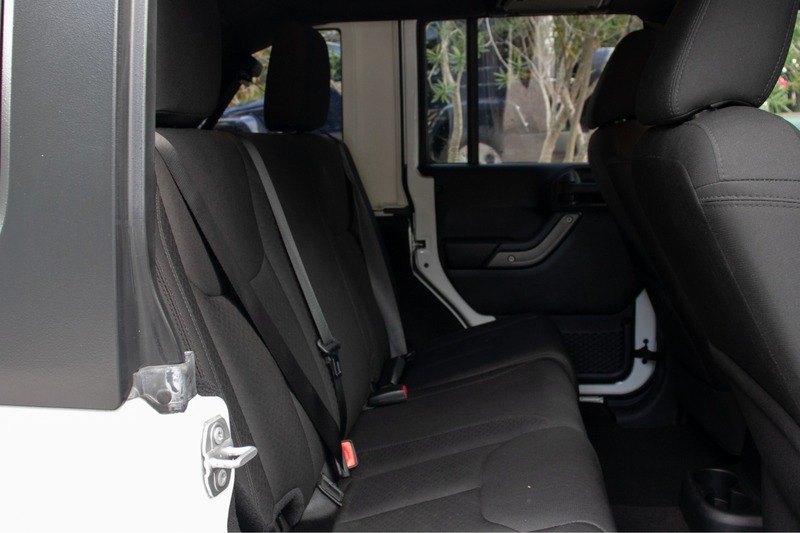 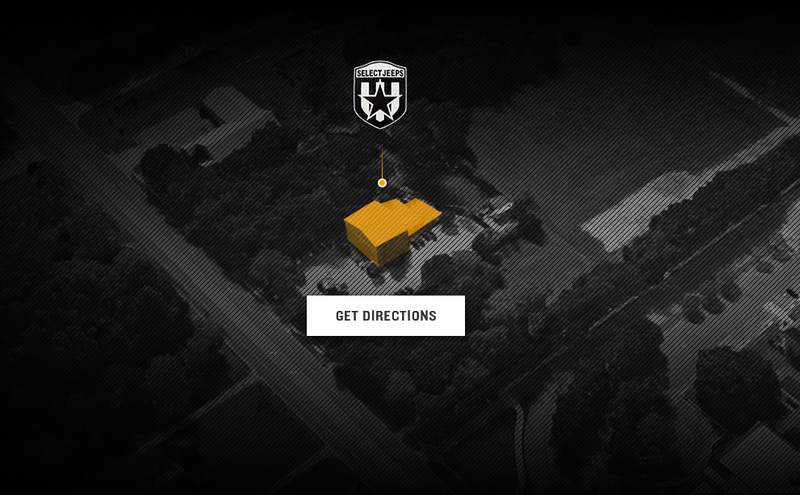 Inside, you'll find a clean black interior and comfortable cloth seats that stay cool, even in the Texas heat. 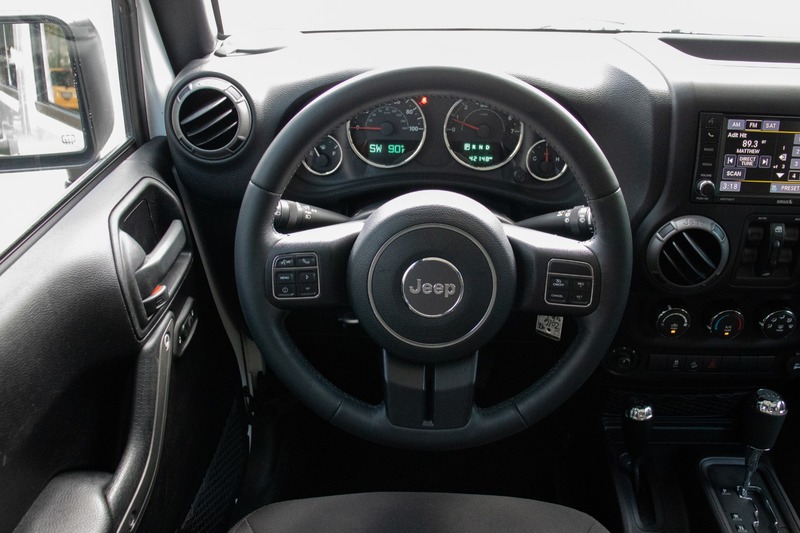 On the leather-wrapped steering wheel, you'll find hands-free calling and cruise control for a more comfortable commute. 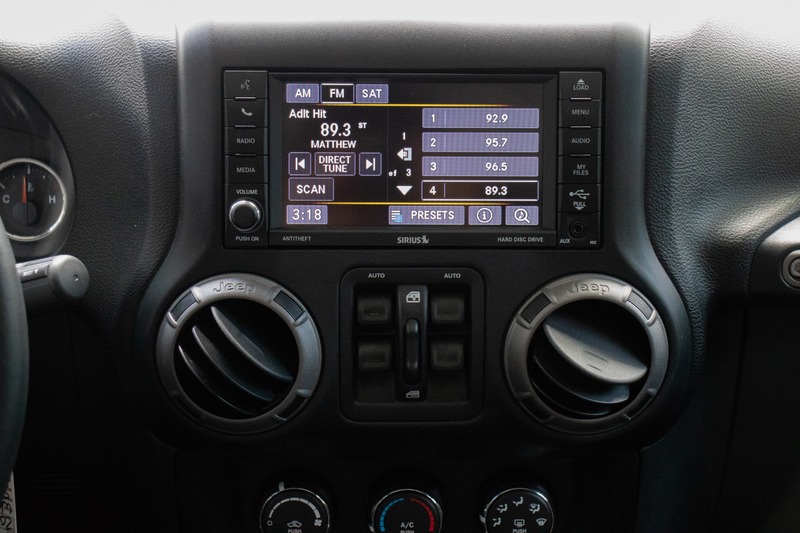 The touch-screen media system is equipped with Bluetooth connectivity, CD player, hard disk drive, USB, and Aux input giving you a variety of ways to listen to your music.